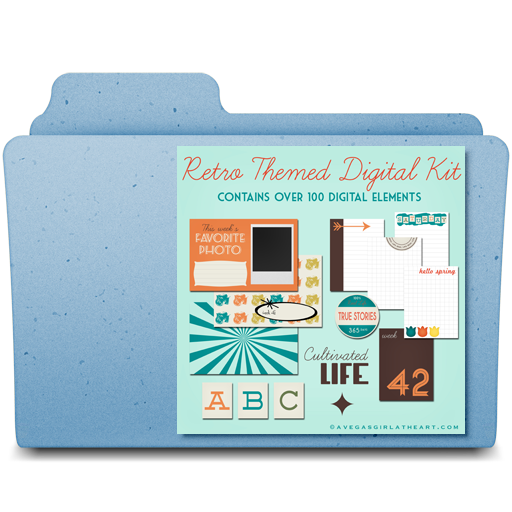 Recently, I came across a post by Traci Reed over at Sweet Shoppe Designs about organizing your digital scrapbooking supplies. Now, you know already that I keep track of my digital stash using Evernote. 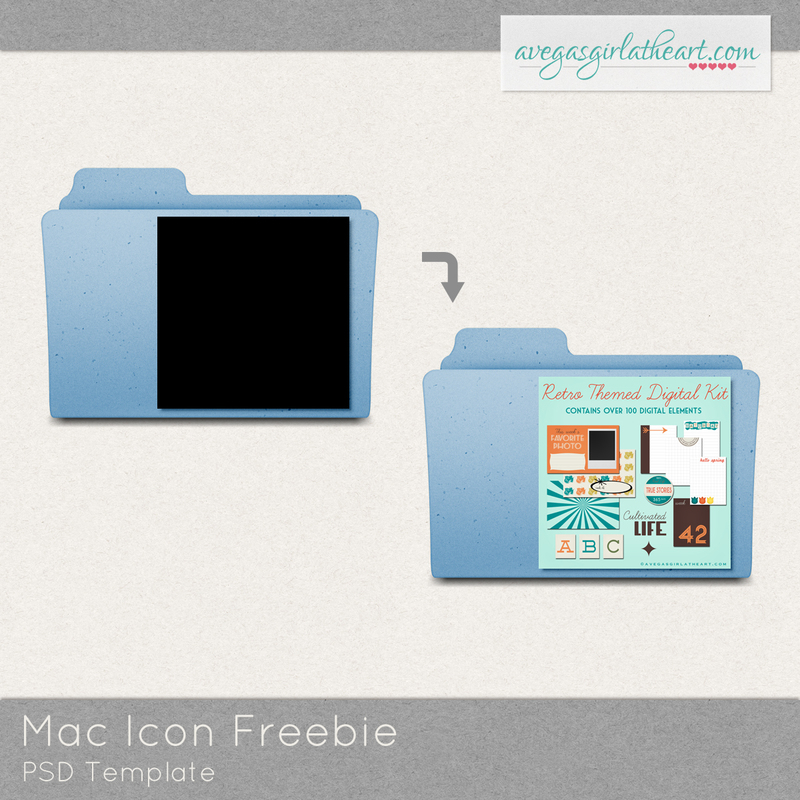 But something that interested me in her post was the part about making the kit previews her Mac folder icons. However, I didn't want to simply make my icons the full preview. I like to know what's a folder vs. what's an image file. So I set out to create a template I could use to create my own previews for my Mac folder icons, and I wanted to share the template with you in case you'd like to do the same for your files. This is very simply a Mac folder icon with a layer to clip your kit preview image to. What this will do is allow you to still have a folder icon, but see the preview of the kit inside. 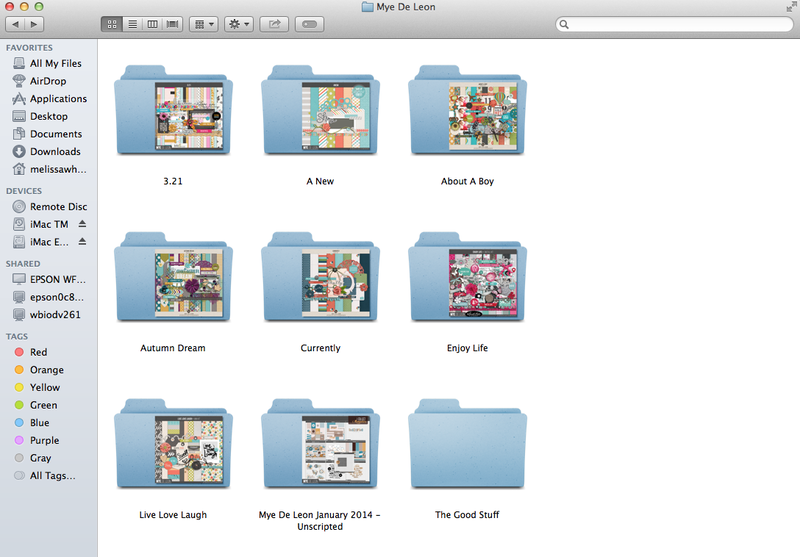 Here's what my Mye De Leon folder currently looks like on my Mac, once I've adjusted all the icons, just to show you an example. I like that I can still tell these are folders, but see a preview of the kit so I know what I'm looking for. 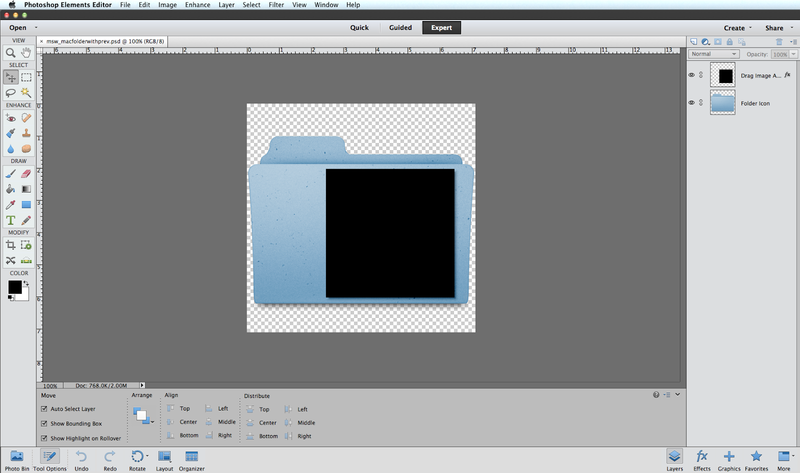 To use this template, all you have to do is open the template and your preview image in Photoshop or Photoshop Elements. Crop your preview image to 4x4 at 72 ppi (this is the size of the black box on the template - cropping first will make it easier for you vs. having to resize the kit preview later). Make sure the preview image layer is above the black layer, line it up and click command + G (on a Mac) or Control + G (in Windows). Then just save your file as a png image into your kit folder. 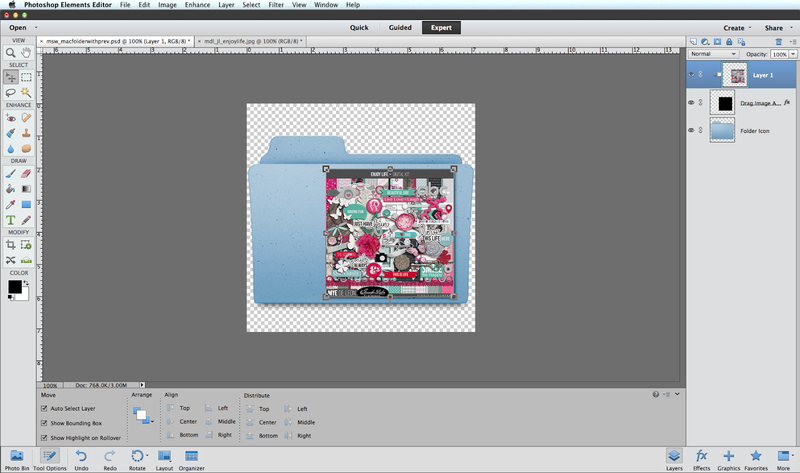 Then follow Traci's instructions to set the image as the folder icon. Click here to download your freebie (personal use only). Hopefully some of you might find it useful. 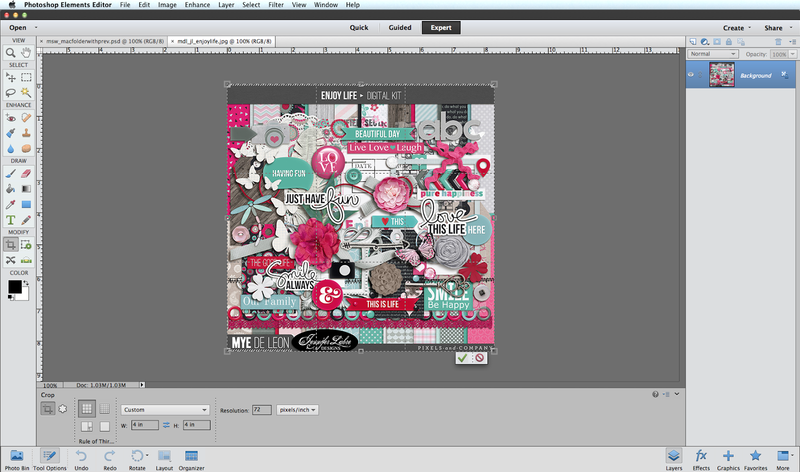 I love the new look for my digi kit folders. Oh my goodness! I switched from Windowns to Mac last year and not having folder.jpg as the automatic preview was VERY hard to get used to. That tip in the link from Traci is a wonderful tip. Thank you for sharing that link and your template! You're welcome! I had been hoping I could just find a template that was similar to the folder w/preview image that Windows has but no such luck. And, I couldn't work magic quick enough for my liking to manipulate the folder icon to look more "open" to fit the preview image inside. 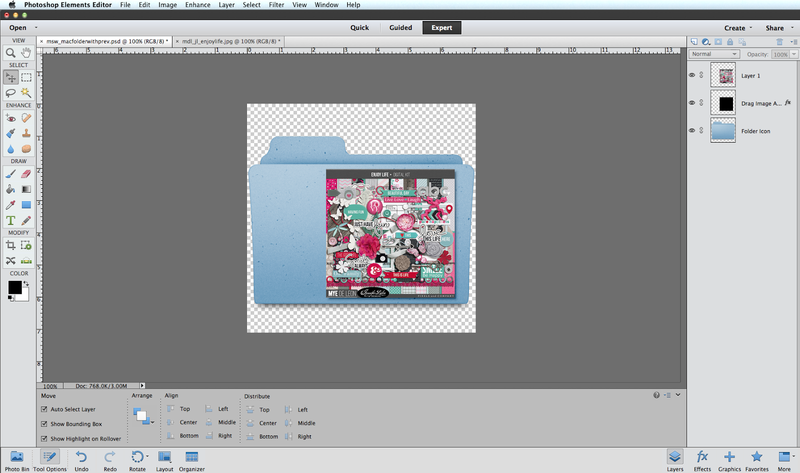 In the end I actually like the image sitting outside the folder (vs. the Windows look) because it's not skewed at all. OK, one last comment. I was working with a file just now from another designer and the trick I used before wasn't working. I know the other designer works on a PC so I opened her folder image up, re-saved it on my Mac as is, and then tried again. Voila! It totally worked. Thanks again for this post. 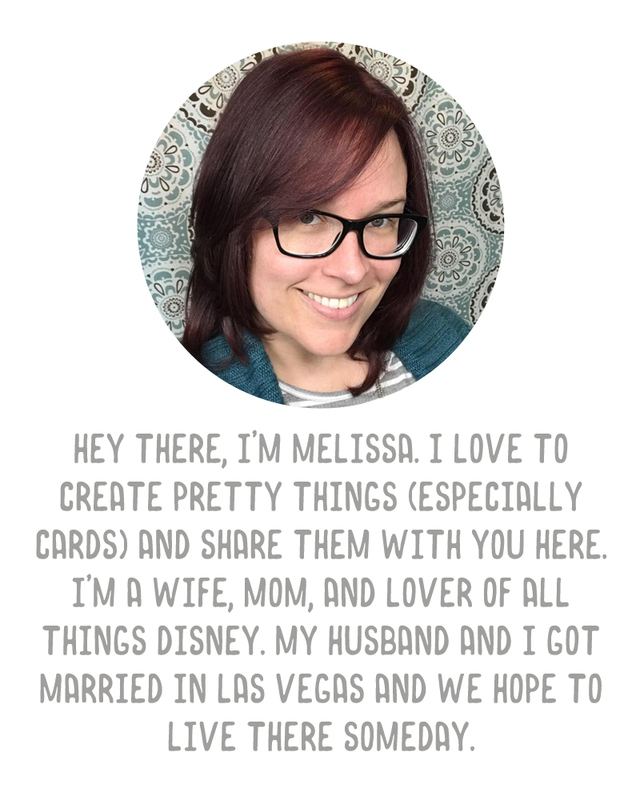 Hi Melissa... I have a PC. Will this work for my folders, as well?